Energy and excitement best describe IWF 2018, held Aug. 22-25 at the Georgia World Congress Center in Atlanta. 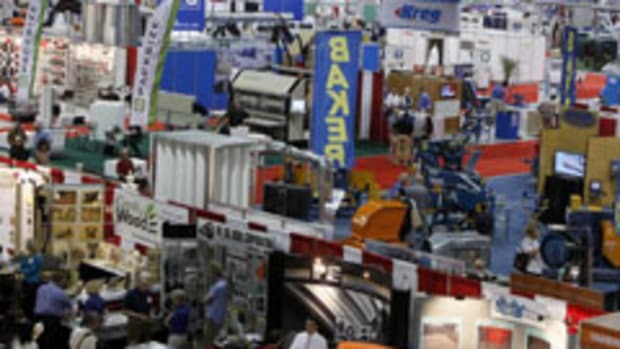 The show featured 1,025 exhibitors packed into two large halls and nearly 1 million sq. ft. of exhibit space. “There were over 30,000 registrants for IWF 2018, and key decision-makers from all 50 states and 98 foreign countries registered to attend,” says Jim Wulfekuhle, IWF’s vice president of sales and marketing. 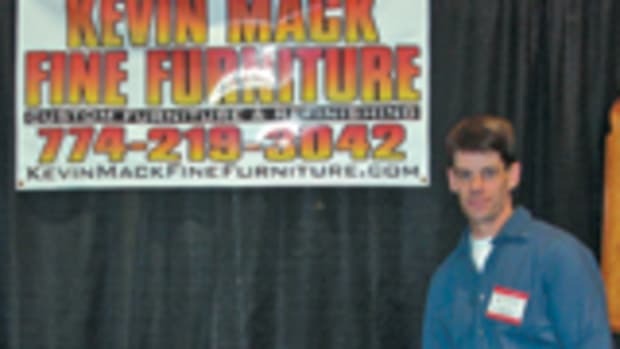 Mark Roden, president of M&R Custom Millwork in Belvidere, Ill., is an IWF regular. 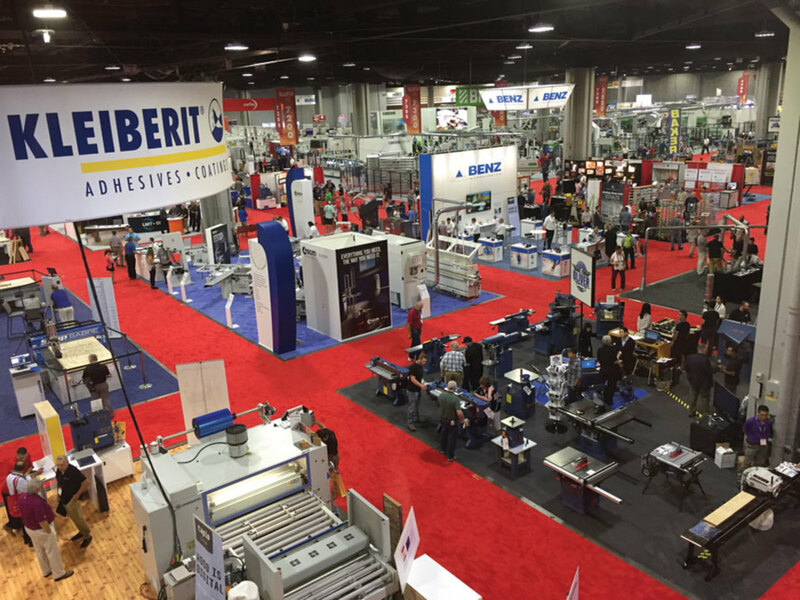 “Though I have a small shop that is now entering our 38th year, I think it is so crucial to attend the IWF every time,” Roden said in a post-show interview with Woodshop News. First-time attendee Josh Schaake, general manager for Reclaimed Rustic Woodworks in Phillips, Wis., also had a worthwhile experience. “We went with high hopes and they were exceeded within 30 minutes of our arrival at IWF. I purchased more and learned more than I thought would be possible in just a few short days. Our company will not only save thousands per year, we will also be more efficient, productive and safer. We could not be happier with our experience at our first IWF. We will return for IWF 2020 and bring more people,” says Schaake. First-time exhibitor Greg Larson, who was introducing his CabWriter software, reported a positive experience as well. “We had a better than expected show. Everything went very smoothly with our setup. We shipped boxes to the show and they were in the booth when we showed up Tuesday afternoon, so we were able to setup quickly and were ready to go,” says Larson. 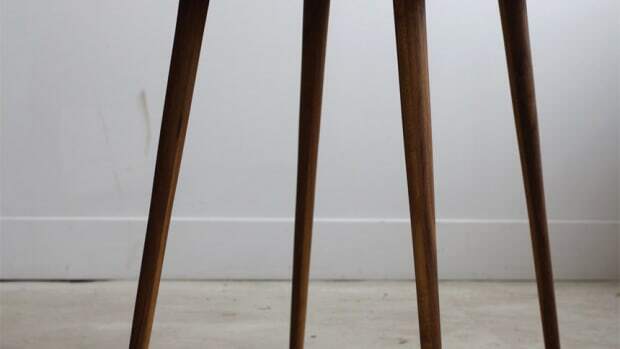 Ecogate, a returning exhibitor and manufacturer of dust collection products, will also be back. “IWF 2018 brought us more qualified, educated and engaged prospects who wanted to talk business. We appreciate this type of business rich environment and we’ll be back in two years for more of the same,” says Ecogate’s Matt Rodriguez. 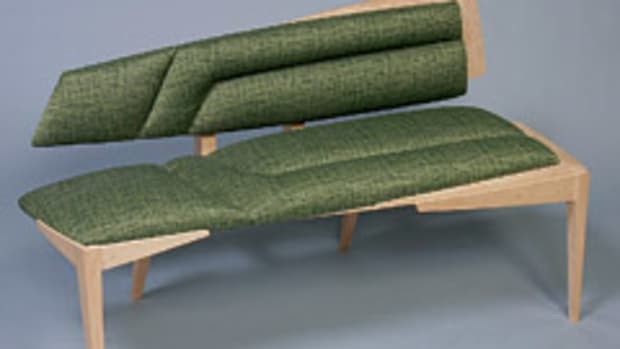 Digital fabrication took center stage. Stiles, Biesse and Holz-Her, for example, had huge booths that resembled production settings. 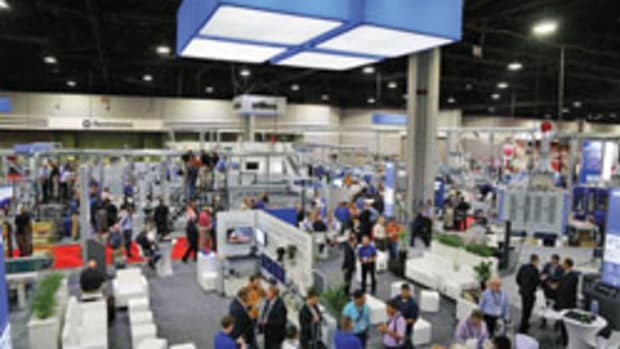 “The technology we presented at IWF allowed attendees to see how our machinery addressed the challenge of finding labor with today’s record level unemployment rates in North America, as well as offering solutions for increased and consistent productivity,” Federico Broccoli, president and CEO of Biesse America and Biesse Canada, said in a statement. Stiles’ booth featured Homag’s new line of modern machine designs, complete with advanced software and Tapio IoT functionality. “This was the first time that North American customers had the opportunity to see this new line of machinery from Homag in person,” the company said in a statement. 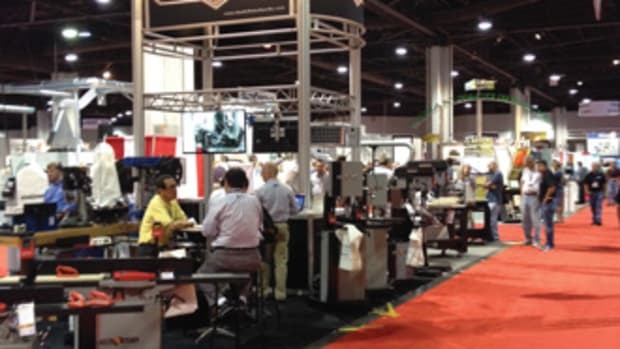 Smaller booths with CNC machining centers were just as popular, including Next Wave Automation with its new CNC Hammerhead and Axiom with its new i2R series router. KCD Software presented 3D design to CNC software that accommodates new fastener options. Other top attractions included a wide selection of hidden fasteners; pre-finished panels; shop management, design and manufacturing software; furniture components, and hardware. IWF 2018 also featured the Design Emphasis student competition and Challengers Awards, plus over 70 educational sessions. The Woodwork Career Alliance held a silent auction to support wood industry education and Microjig announced a new initiative to donate its Grr-Rippers safety products to public high school woodworking program throughout the country. The next IWF is scheduled for Aug. 26-29, 2020, in Atlanta. Vauth-Sagel had more than 1,200 visitors at IWF 2018 in Atlanta, who were particularly interested in the company’s VS Envi waste separation systems and the innovative corner cabinet solution, Cornerstone Maxx. IWF 2010: Smaller is better?